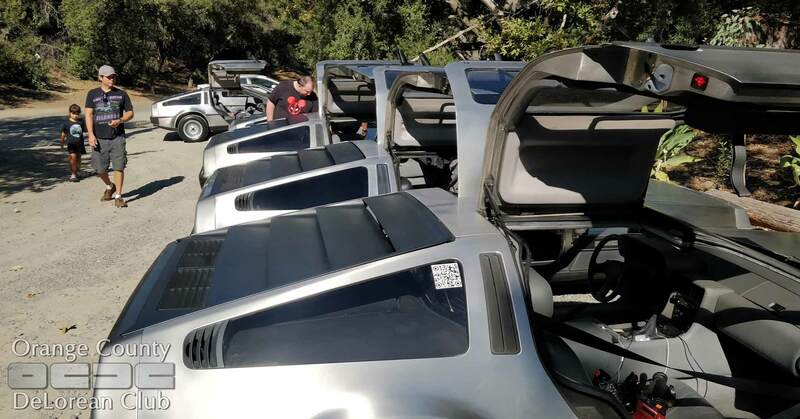 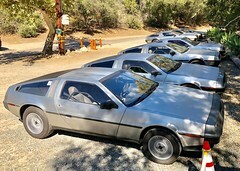 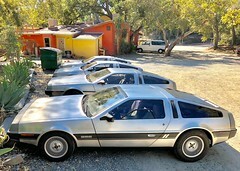 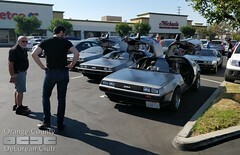 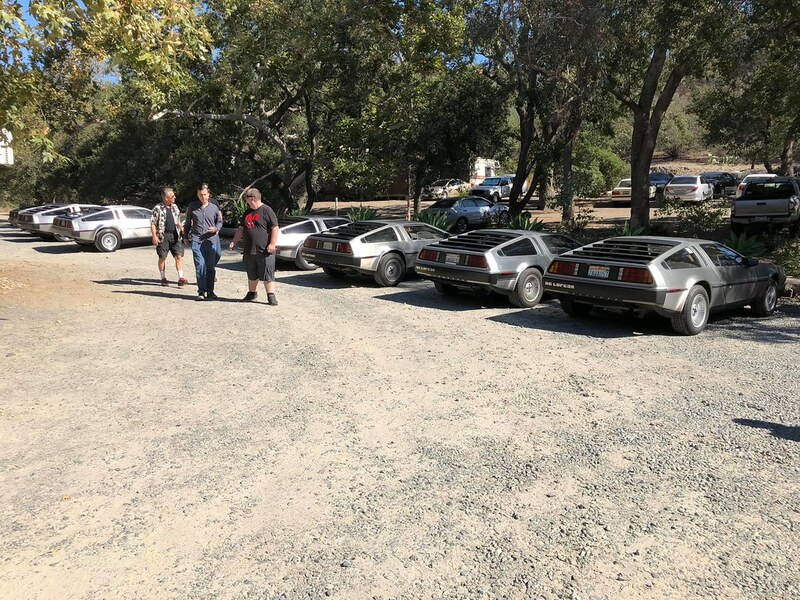 Wow… another AWESOME turnout for the Orange County DeLorean Club! 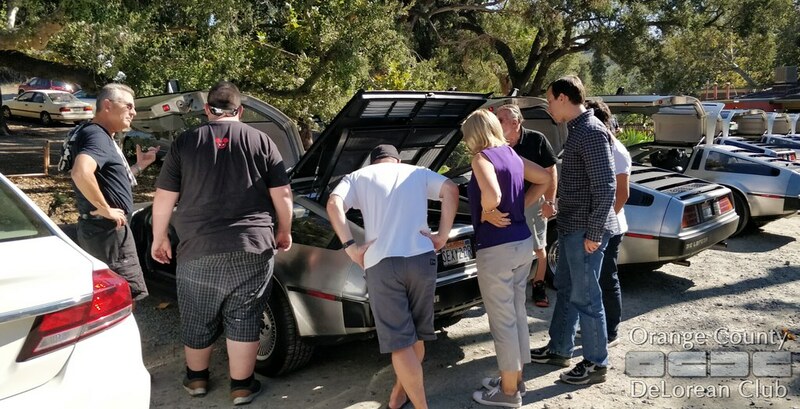 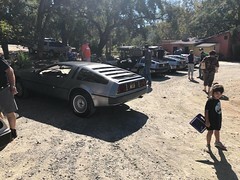 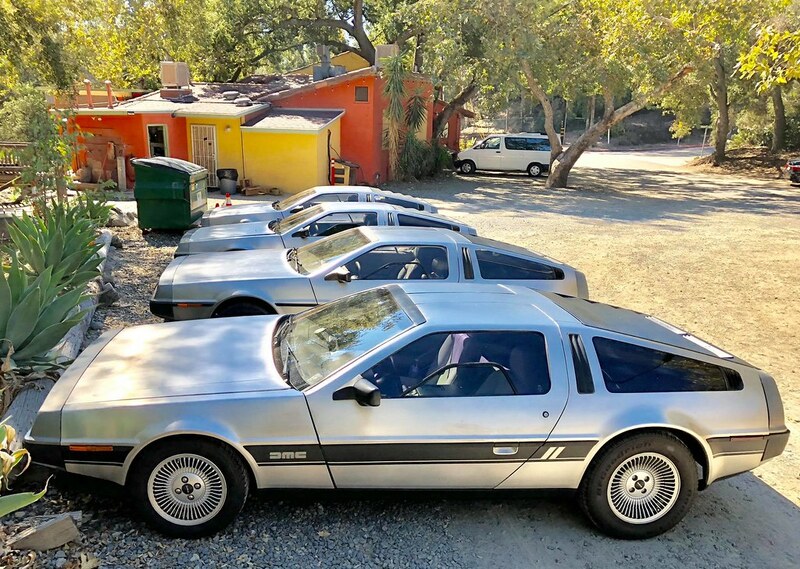 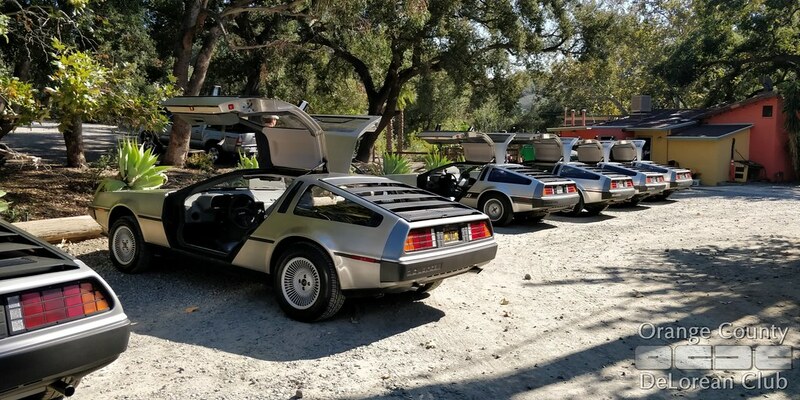 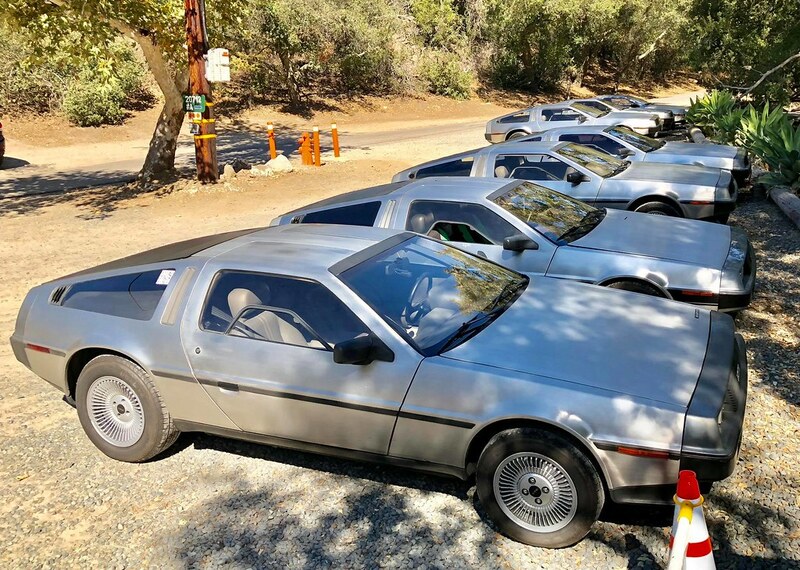 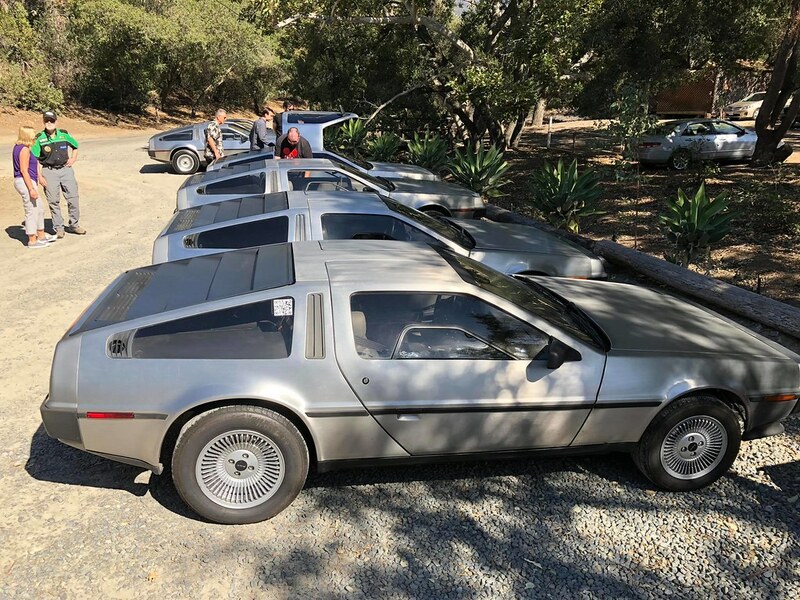 SEVEN DeLoreans and 10 owners, with a total of 16 people including spouses and kids attended the first OCDC 2018 Fall Drive – and it was great! 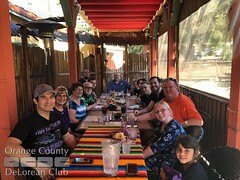 As always, thanks to Nick, Kirk, Ken & Laurel, Gordon & Kathy, Todd (and his daughter), Don (and his daughter), Justin, Skip & Patty, Jeremy (and his son), and Dave for making these events fun and entertaining. 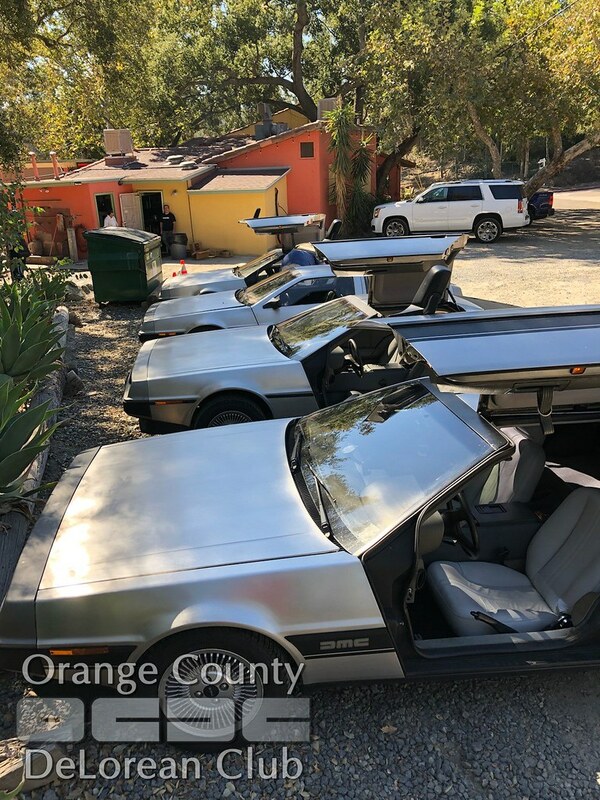 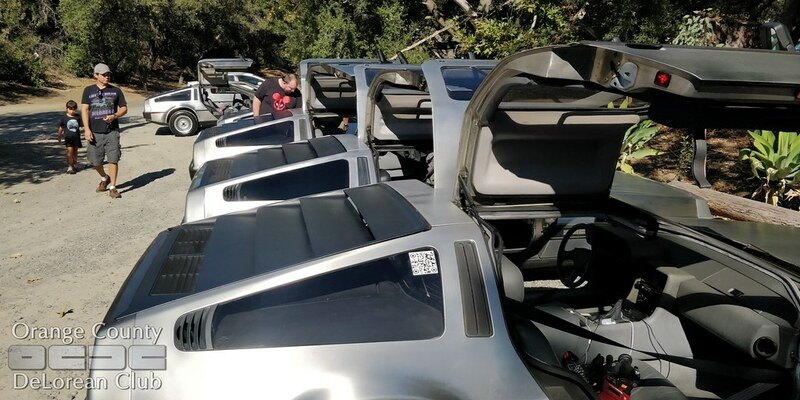 As Walt Disney once said, “You can design and create, and build the most wonderful place in the world, but it takes people to make the dream a reality.” – the same is true for any event… without the passion and interest of those who attend, the Orange County DeLorean Club would not exist. 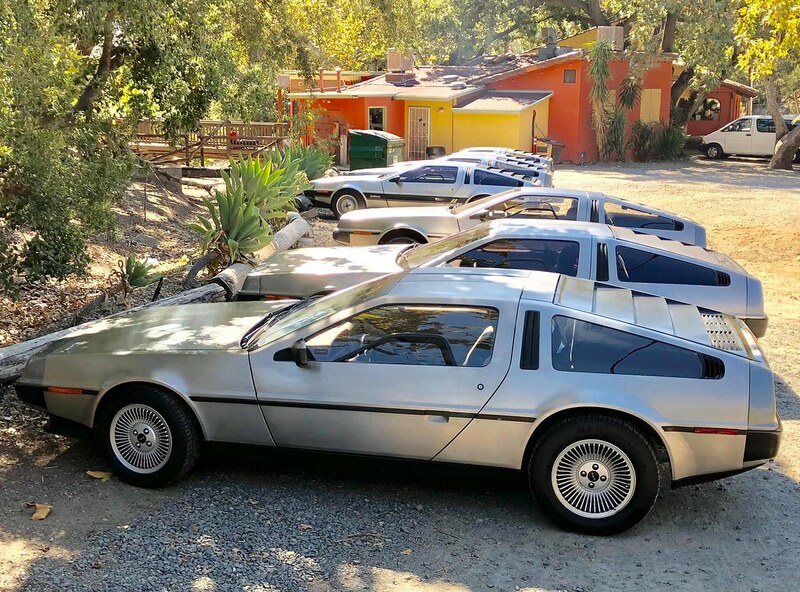 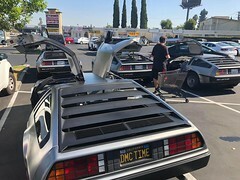 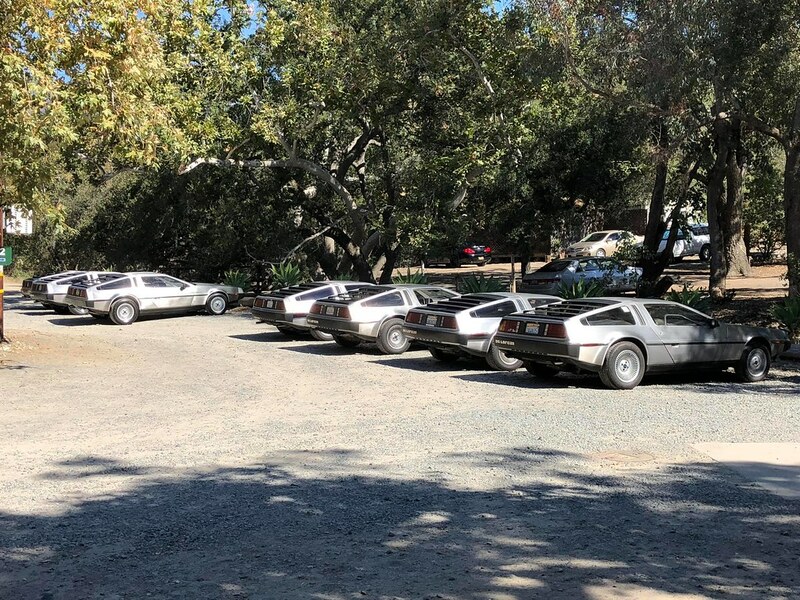 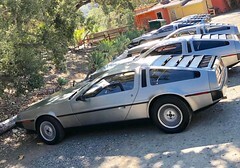 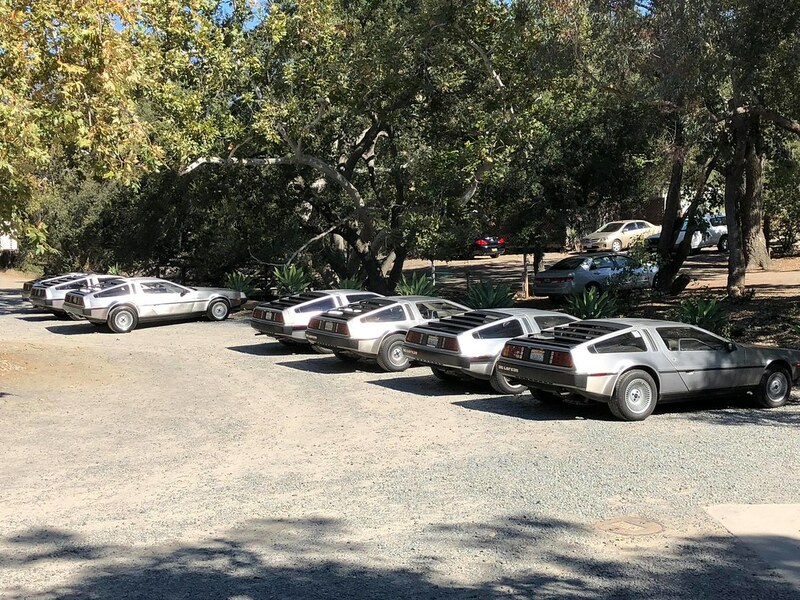 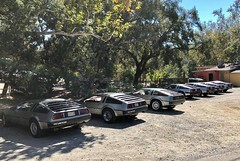 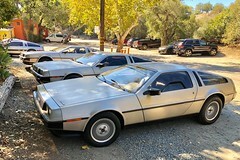 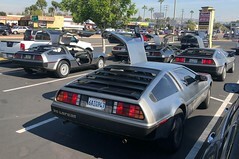 We started out in the parking lot at Michael’s in Orange, where we expected just three or four DeLoreans… but as the 11a departure time neared, a few more DeLoreans showed up – it was a wonderful surprise. 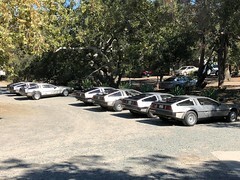 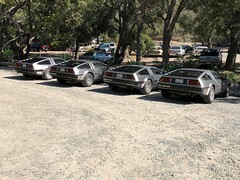 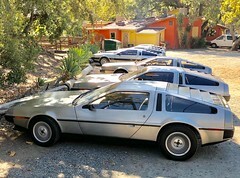 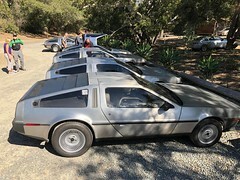 Among the DeLoreans to drove into the parking lot were *FIVE* ‘new’ owners! 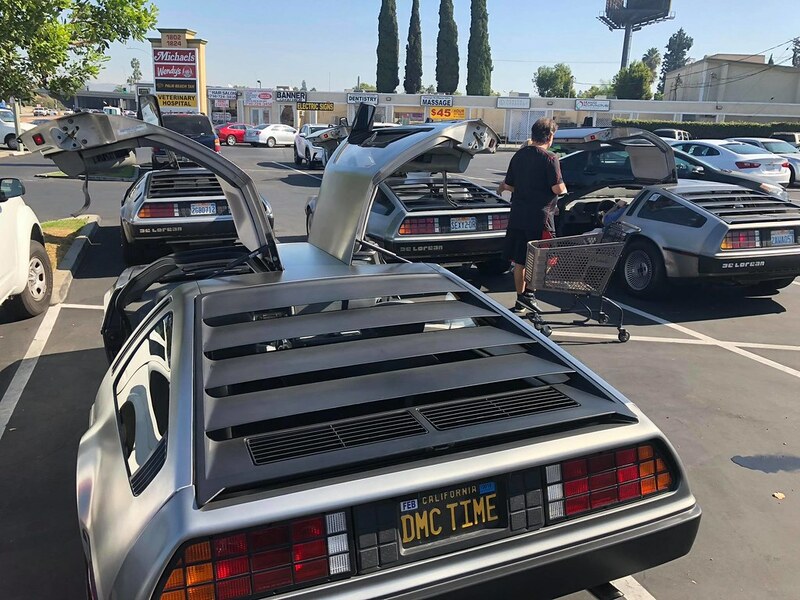 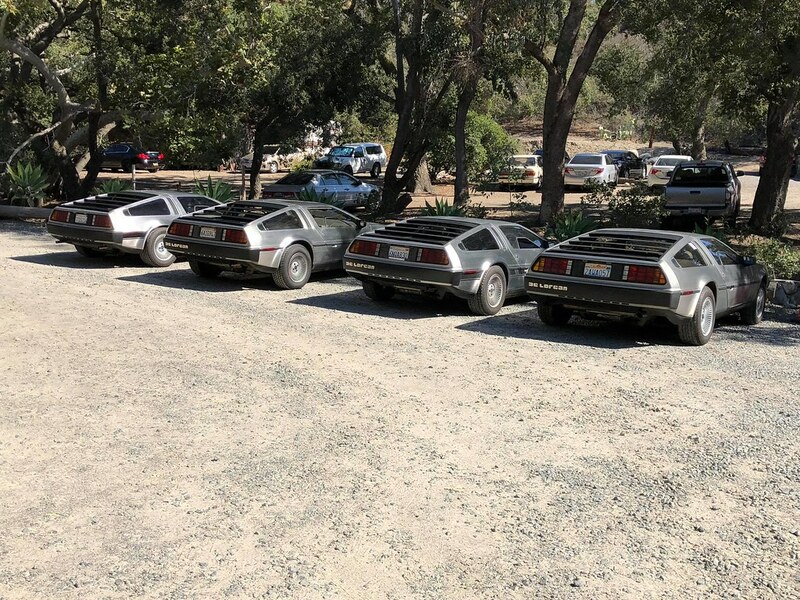 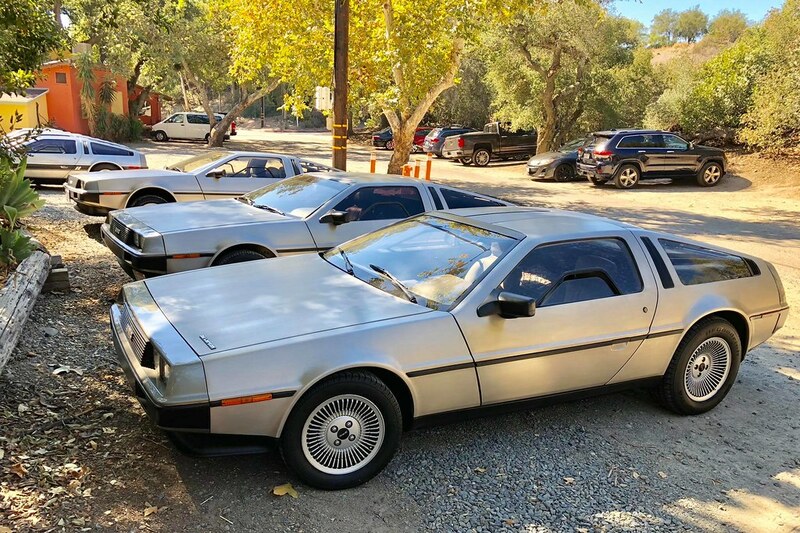 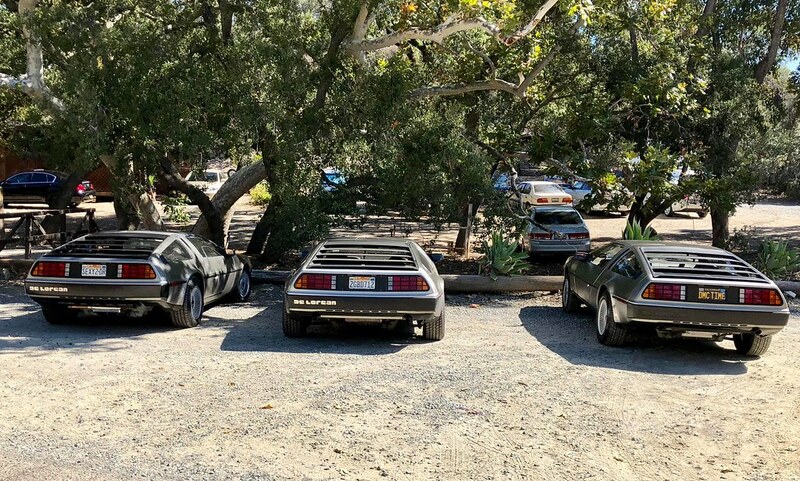 Nick – a bit over a year, Kirk – less than a year, Don ~ 2 months, Justin ~1 month, and Jeremy – hasn’t even driven his DeLorean yet, as it’s at DMC California. 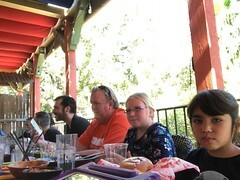 We left Michael’s and headed East to Santiago Canyon Road, which is a very nice little drive along/through the Santa Ana Mountains (the range between the 5 and the 15 freeways in Orange County) with some tree-covered roads, easy curves, some hills and valleys, and lots of bicyclists. 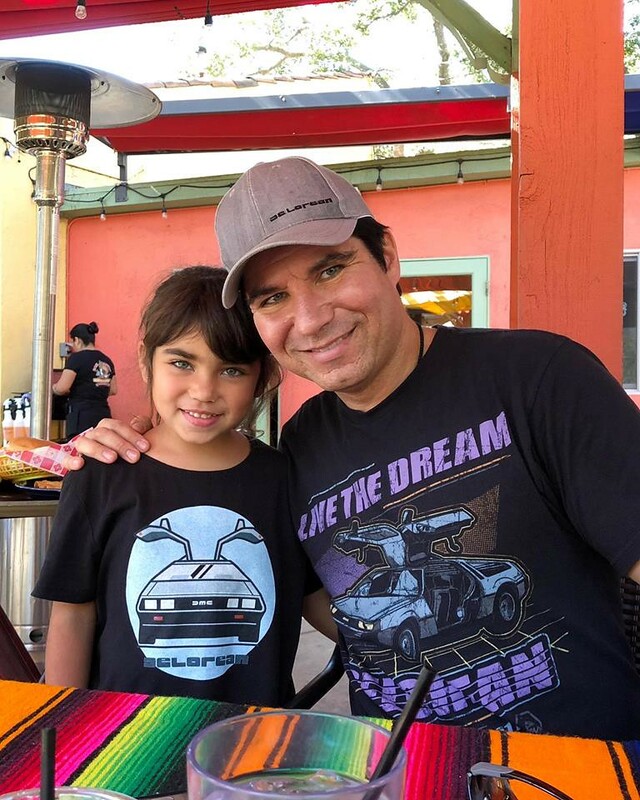 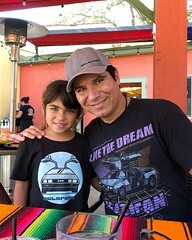 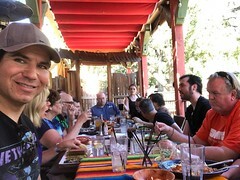 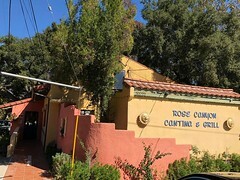 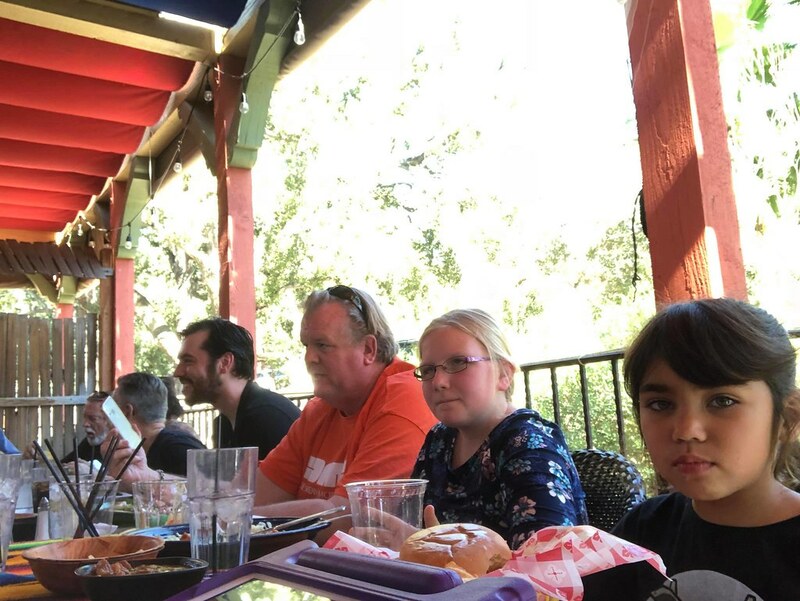 It was about 83 degrees with blue skies and light traffic, which made for a delightful DeLorean drive to the Rose Canyon Cantina & Grill in Trabuco Canyon. 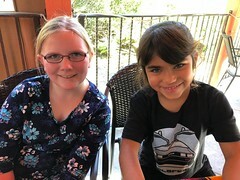 We sat outside at their ‘long’ table and had a great lunch and visit. 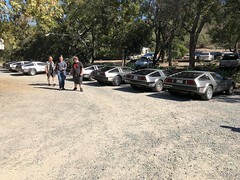 By 2p we were all done and spent the typical amount of time that DeLorean owners spend talking at the cars until someone finally breaks free and drives away. 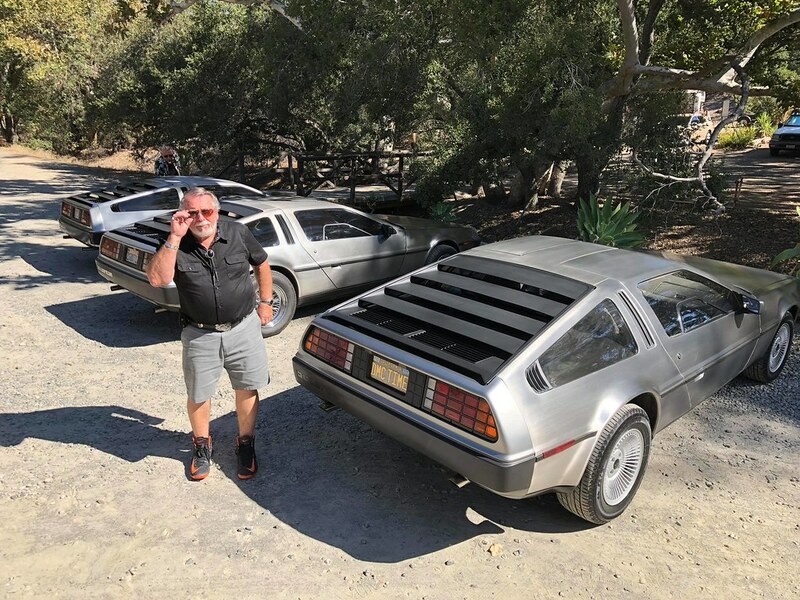 Again – an absolutely wonderful event with great people and fun cars!